We will be walking out today at 1pm to honor black lives that have been lost. 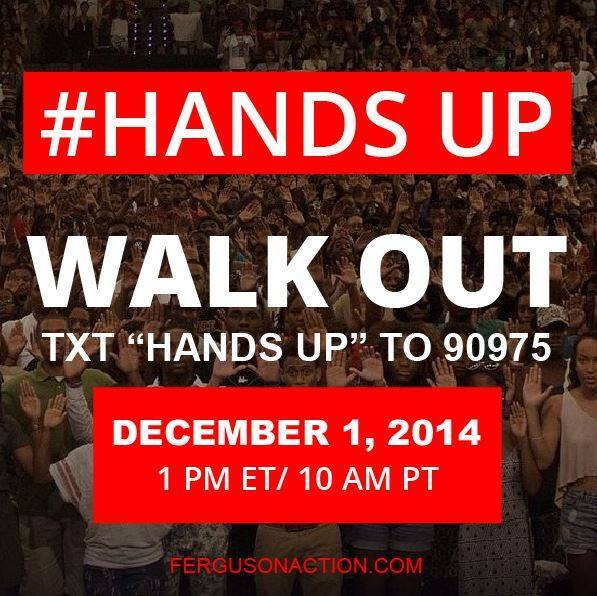 We will be walking out today to stand with our brothers and sisters of color in Ferguson. We will be walking out today to remind ourselves and to remind our nation that we cannot allow fear and racism to continue to divide us. We will be walking out today because we long for shalom in our community. Feel free to join us- 2900 block of Q St. in Church Hill. Where is the group walking to and from? For how long? Thanks! Why not honor all lives? Why is this a race thing? The racial segregation is brought on yourself by the intent of protests such as these. Stop segregating yourselves! A majority supporting a minority is honoring all lives. I wish this protest were rephrased. While most of us understand that there are issues, why are we honoring someone who witness of multiple races say attacked the police officer?